IcculusNews is a Perl-based daemon that sits on port 263 (by default). It is used for many sites, including icculus.org itself. 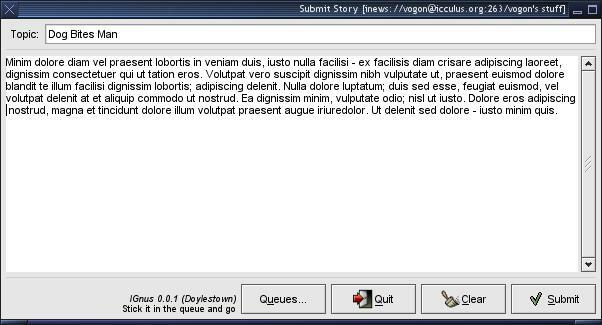 IcculusNews can output headlines streams. It also has a GTK+(2) interface (screenshot), and a library for other client access. There is also a php/web-based interface integrated without libinews.